To support counseling services, transportation and the nights of safety program for domestic violence victims. To increase staff and volunteer training to assist in expanding services in Jefferson County. To provide Alzheimer's education, outreach and ongoing care support to 400 new clients in Jefferson County. To purchase a new disaster response vehicle for Jefferson County. To purchase office equipment and supplies to assist with program expansion. To support the development of a strategic plan and staff training to increase and enhance services. To develop a Center for Community Well-Being in the Northwest School District that will focus on helping people live healthier, happier lives. To purchase AEDs and an AED trainer. To purchase a van that will be used to pick up donated food. To expand the current Safe Families for Children program in Jefferson County. To purchase a new Advanced Life Support ambulance. To provide training for the agency's staff. To purchase and rehab a building that will increase services and provide better confidentiality. To expand the burn and fire prevention program to Jefferson County schools and to provide 2 scholarships for children to attend the burn camp. To purchase AEDs and continuing education for the agency's personnel for a 5 year period. To provide hearing and screening services at Jefferson County schools and Head Start centers and to provide the full-service audiology program for 25 people in Jefferson County. To assist with start-up costs for a youth mentoring program. To support the construction of a soccer complex. To develop a new walking trail at West City Park. To develop a voucher program in partnership with area nonprofits to provide quality dental care to adults that do not have insurance. To develop a mobile access and prevention dental clinic that will primarily serve adults that are on Medicaid or do not have insurance. To expand fitness related programs and activities at the High Ridge Civic Center. To increase advertising to reach and recruit potential CASA volunteers. To purchase AEDs to allow the agency to have one in each nursing area. To expand the tower garden program to additional classrooms within the School District. To construct a permanent walking trail that will connect Vineland Elementary School with the De Soto High School campus. To increase accessibility by purchasing and installing a stair lift. To purchase items for all third grade classes to get students actively involved in their learning, promote movement in the classrooms and to connect with students who need movement to learn. To purchase smoke and CO detectors and escape ladders for distribution in the community. To expand the Care Transitions and Outreach program to Jefferson County to reduce preventable non-emergent ER visits and hospitalization. To purchase AEDs and equipment to clean and sanitize loaned out medical equipment. To expand the Independent Living program for seniors and individuals with disabilities. To provide direct financial assistance to low-income individuals with disabilities, seniors and those in need; to assist with wheelchair ramps and home modifications; and to provide medical supplies to the nursing staff. To purchase hearing and vision screening tools and AEDs. To provide assistance with prescriptions, elderly care and personal care items. To purchase AEDs and emergency medical equipment to expand the services the agency can provide. To support the food pantry and assistance program. To purchase AEDs, an AED training unit and a suction unit. To provide continuing education to all departmental personnel. To purchase emergency medical equipment and to implement a health and wellness program. To expand the Incredible Years Parent Education program by serving additional families and adding in-home parent consultations. To support program expansion and to reduce the waiting list for services. To purchase equipment and tools to enhance the response capabilities of the agency to fires, medical and other hazardous calls for service. To purchase new hydraulic rescue tools. To purchase and install a generator that will provide back-up power and allow the agency to serve as a shelter during extreme weather. To construct an all-inclusive playground. To assist with repairing the fields that were damaged by the July 1 flash flood. To purchase medical and protective equipment. To support a part-time technology assistant to help with external communications and increase visibility of retreat programs. To purchase AEDs and first aid cabinets and for CPR/First Aid/AED training. To purchase a box truck to assist the agency in maintaining current programs. To support staff training and to implement a marketing program to increase services and decrease the waiting list. To purchase 2 simulation mannequins and supporting equipment for the nursing program. To increase services in the Jeffco Express, Parenting Network and Hammers of Hope programs. To assist individuals affected by the July 1 flash flood with necessary home repairs. To construct a shelter over the loading zone for residents and to create a circle drive to streamline the traffic pattern. To purchase a new lifeguard chair and spinning bikes. To develop preliminary design drawings for possible expansion and to conduct a feasibility study for a capital campaign. To enhance and expand the services offered through the childcare and aquatics program. To provide free hepatitis C screening and education to individuals at risk of infection. To develop a ten year road map designed to foster community wide solutions that lead to healthier, more productive lives across the lifespan of county residents. To provide CPR certification and CEU courses to all team members and to send 7 personnel to CPR/AED instructor training. To provide support for additional substance abuse prevention programs and develop youth leaders. To purchase a new refrigerated truck to pick up donated food. To expand counseling services for victims of domestic violence. To establish a Drug Court Administrator position to increase the effectiveness of the Drug Court program. To purchase AEDs and emergency medical equipment. To expand the Social Skills Training program to children, youth, and adults with Autism in Jefferson County. To provide suicide prevention education to Jefferson County schools. To assist with the start-up costs of designing and building a community garden. To purchase a freezer, cooler and van for the food pantry. To implement a marketing program that will raise awareness and increase the number of clients served. To close the agency's current lagoon and to connect to the sewer line to stabilize the agency's infrastructure. To increase mental health counseling services to Jefferson County residents. To purchase CPR equipment and to send three firefighters to CPR instructor training. To purchase personal protective equipment and rescue equipment. To support expansion of child and adolescent psychiatric services. To purchase a vehicle for the delivery of hot meals in Jefferson County. To provide scholarships and for staff training and development. To provide the Prevention First in-school program and the youth leadership programs in Jefferson County. To purchase a truck and trailer to implement the Transitional Counseling program in Jefferson County for teenagers who struggle with alcohol or other drugs. To expand the current respite scholarship voucher program. To purchase yoga and meditation equipment for use in classes at local libraries and agencies. To purchase updated OT/PT equipment and an OAE machine and to support the Healthy Me program. To purchase therapeutic supplies to assist the agency in establishing on-site mental health services for students. To increase nurse home visits to underserved families in Jefferson County. To support the Medical Case Management, Keystone Mental Health Services and Emergency Assistance programs for children and families in the foster care system in Jefferson County. To provide additional developmental and health screenings. To assist with constructing a new building for the food pantry that will provide additional space and increase services. To purchase new adaptive medical beds and 2 new accessible vehicles. To purchase 2 freezers to expand storage space for the food pantry. To purchase a tractor for the maintenance of the service area. To assist with the agency's strategic and capital campaign planning efforts that are geared towards future program growth. To convert and equip a current classroom into a fitness room to increase fitness opportunities for students, staff and community members. To assist with building renovations and service expansion, including counseling services and support group meetings. To increase awareness of the program in Jefferson County and for general program support. To provide program support to continue expansion efforts. To provide training for new staff at the Sunnyhill Adventure Camp and the Sunnyhill Independence Center. To assist with the construction of a multi-purpose building that will provide year-round program space. To provide scholarships for low-income clients trying to break the cycle of addiction. To increase Project Concern services to additional families in Jefferson County. To support the services provided at the Long-Term Therapeutic Home. To provide program support and to help expand services for victims of human trafficking. To expand the current 4-H Youth Futures program at Fox High School and to expand the program to an additional school. To provide training and resources to foster and adoptive families in Jefferson County. To provide program support for the food pantry and emergency services program. 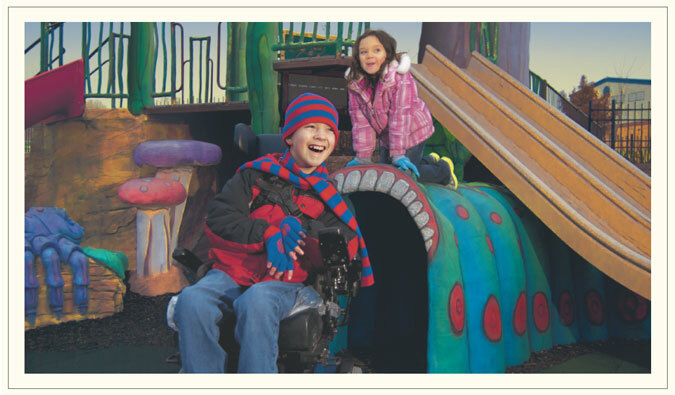 To assist with the second phase of Kade's Playground - the universally accessible splash zone. To purchase equipment and instruments to expand dental services for adults. To expand dental services for children, pregnant women and adults in Jefferson County. To purchase a medication pump and ventilators. To support the agency's Back to School Fair program that provides backpacks and school supplies and health care screenings. To purchase an OAE Hearing Screener to increase the number of screenings completed. To provide assistive technology to students with disabilities.